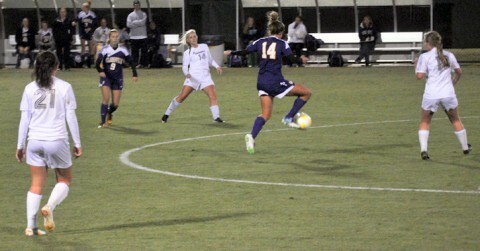 Hendersonville, TN – For years good girls high school soccer teams from Clarksville had all suffered the same fate when traveling to Hendersonville High School to play the Commandos on their home field – a loss. Well that all ended October 23rd in the final of the Region 5-AAA tournament, as the Clarksville High School Lady Wildcats thumped Hendersonville 8-2 to win its second consecutive region title. 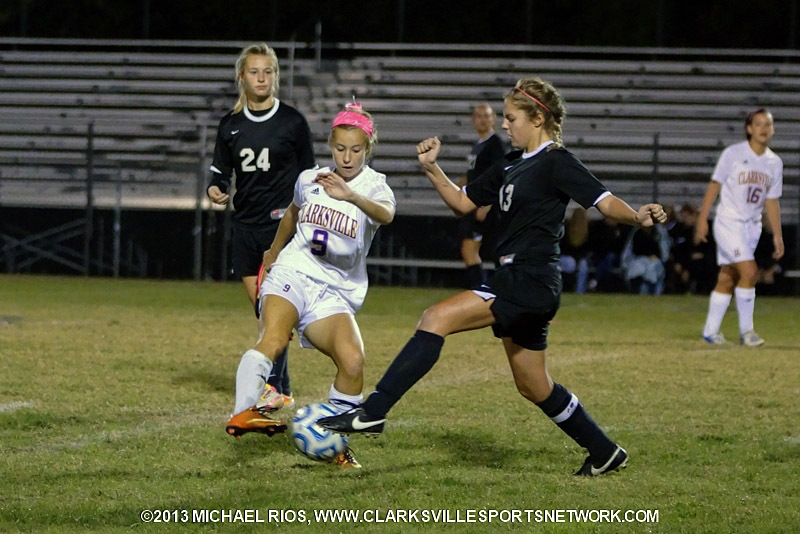 Clarksville, TN – Clarksville High School’s girls soccer team exploded for five second-half goals in its Region 5-AAA tournament semifinal match, October 21st at Hilda J. Richardson Field, versus Beech High School to pull away for a 7-1 victory. With the win, Clarksville High (18-2-2) advances to the 5-AAA tournament finals, October 23rd, where they will face Hendersonville High School (16-5-0) — who defeated Rossview High School in the other semifinal, 2-0. Clarksville High School defeats Beech in Regional Soccer Match. 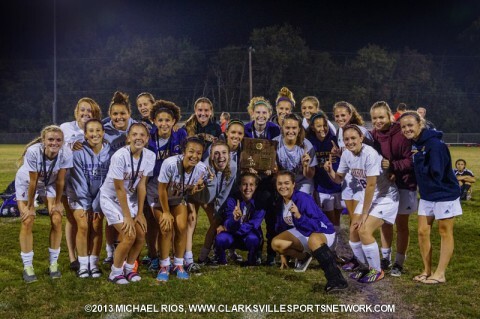 Clarksville, TN – Clarksville High School’s girls soccer team scored four goals in each half, October 14th at Hilda J. Richardson Field, in picking up its second straight District 10-AAA title, with an 8-0 victory over Rossview High School. With the win, the Lady Wildcats (17-2-2) will host a first-round Region 5-AAA tournament game on October 22nd against the runner up of District 9-AAA, while Rossview (9-5-3) will travel to the champion of District 9-AAA. Clarksville, TN – Clarksville High School’s football team watched Henry County play all but one offensive down on its side of the 50-yard line in the first half, October 11th at Hilda J. Richardson Field, as the Patriots build a 19-0 lead on its way to a 31-14 District 10-AAA victory over the Wildcats. Henry County (8-0, 5-0 District 10-AAA), the number-one ranked team in the state in Class 5-A, had five of its six first-half drives start at the Clarksville High 42 yard line – or deeper – with the Patriots scoring on four of those five chances. 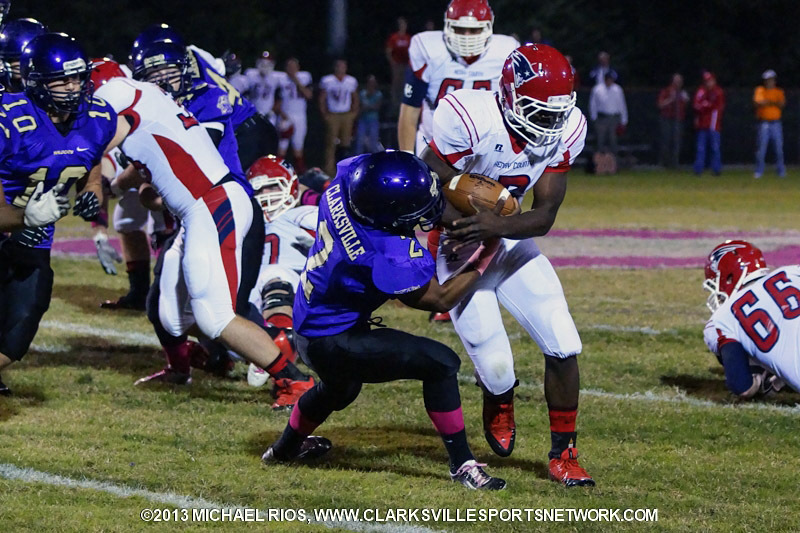 Clarksville High School Wildcats fall to Henry County. Clarksville, TN – Clarksville High School’s girls soccer team sent its five seniors out in grand fashion, October 8th at Hilda J. Richardson Field on Senior Night, as the Lady Wildcats exploded for seven goals in a span of 13 minutes in the first half on its way to a 10-0 District 10-AAA victory over Springfield High School. 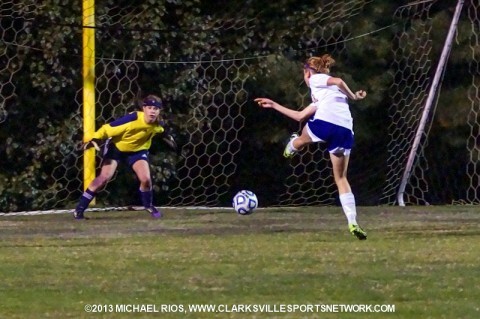 The 10 goals tied a season high for Clarksville High (14-2-2, 7-0-0 District 10-AAA), with the Lady Wildcats also scoring 10 goals against Northwest High School on September 3rd. 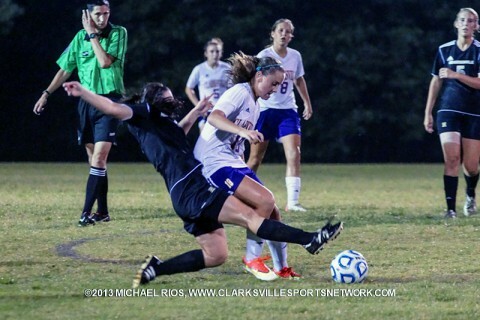 Clarksville, TN – Clarksville High’s girls soccer team scored three goals in a span of seven minutes in the second half, September 19th at Hilda J. Richardson Field, to pull away from Rossview High School for a 5-0 District 10-AAA victory. Leading 2-0 on two first half goals by junior Ella Baggett, Clarksville High (8-2-0, 4-0-0 District 10-AAA) took any chance of a comeback by the Lady Hawks off the board with three quick goals in the 58th, 63rd and 65th minutes to go up 5-0. Clarksville High School Soccer vs. Rossview High School. 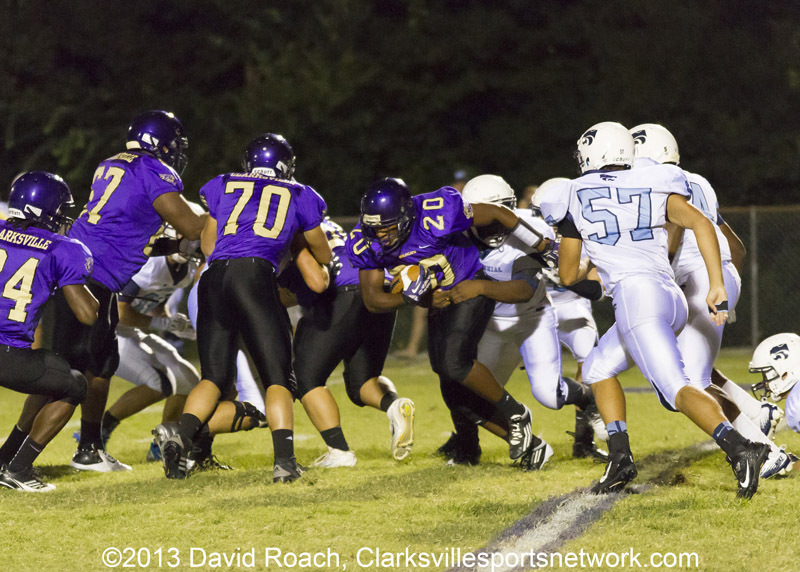 Clarksville, TN – Clarksville High’s football team dropped its fourth straight game to open its 2013 campaign, September 13th at Hilda J. Richardson Field, with a 45-14 loss to Centennial High School. Lawrenz Guerra would get Clarksville High off to a quick start, as the senior running back took the first handoff of the night and went 67 yards for a touchdown to put the Wildcats up 7-0 – after Mason Gasaway’s extra-point – just 27 seconds into the game. 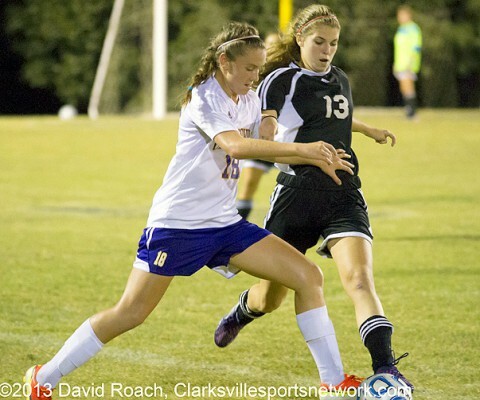 Clarksville, TN – Clarksville High School’s girls soccer team scored three second-half goals – including two by Ella Baggett – to defeat longtime Region 5-AAA foe Hendersonville High School, 3-1, September 12th at Hilda J. Richardson Field. 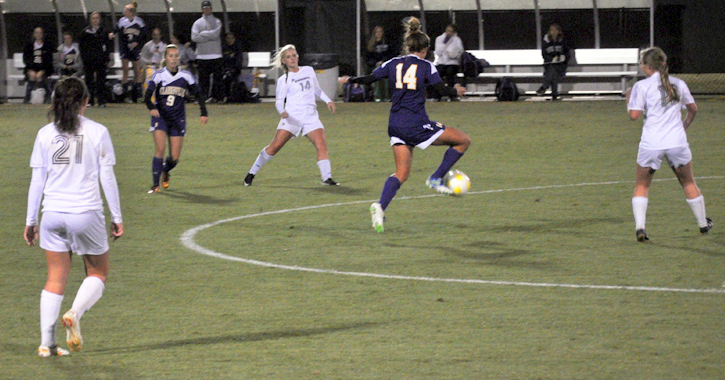 Both teams currently ranked in the top 10 in the state played to a 0-0 draw after the first 40 minutes of play, but Baggett – a junior – broke the deadlock in the 47th minute. She took a deep pass from beyond midfield by sophomore Salera Jordan, beat her defender and then got the shot past the Commandos’ keeper Makensie Cotter for the 1-0 lead. Clarksville, TN – Rossview High’s Isaiah Johnson scored four touchdowns, Sept. 6th at Hilda J. Richardson Field, including a 16-yard burst with 6:37 left in the game to give the Hawks their first lead of the night over Clarksville High in a come-from-behind 33-28 District 10-AAA victory. 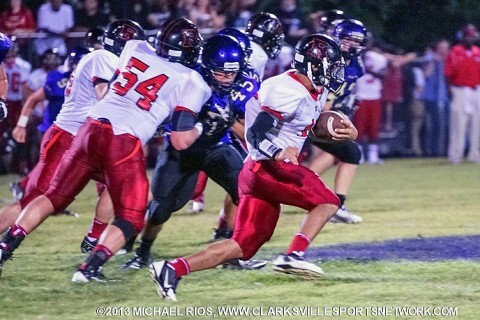 With the victory, Rossview improves to 3-0 overall in 2013 and 1-0 in district play; while Clarksville High remains winless at 0-3 and 0-1 in District 10-AAA. Clarksville, TN – Just when it looked like Clarksville High’s football team was going to pull out a come-from-behind victory, August 22nd at Hilda J. Richardson Field over Goodpasture, a turnover in the final 30 seconds doomed the Wildcats in a 22-21 loss. Clarksville High (0-1) had seen the Cougars take the lead, 22-21, with 1:13 left in the game, on a two-point conversion run by Carter Wiseman, following a 77-yard pass to Wiseman from Carson Gregg. Gregg completed 4-of-5 passing attempts for 119 yards.